Once upon a time, people were extremely concerned with size when it came to buying diamonds. The bigger the diamond, they thought, the better! 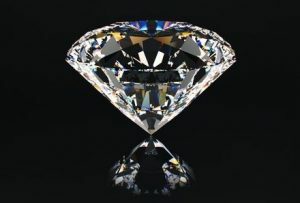 That led to many people purchasing big diamonds, even if it meant that those diamonds weren’t necessarily of the best quality. This thinking has slowly transitioned, though, and now in 2017, most people are more concerned with the cut of a diamond as opposed to its size. They realize that diamonds that have been cut properly look significantly better and are ultimately worth more money in the long run. It’s why the Gemological Institute of America, better known as GIA, has spent a long time coming up with a diamond cut grading system. This system includes five different graded cuts – Excellent, Very Good, Good, Fair and Poor – with each cut’s grade determined by a variety of factors. The seven main components of a diamond cut are brightness, fire, scintillation, weight ratio, durability, polish and symmetry, and each trait of a cut stone plays a key role in determining the cut quality of a diamond. To assess diamond cuts, a gemologist must use the patented GIA Facetware® Cut Estimator that has been designed to estimate the cut grade for diamonds. It takes a number of aspects into account, including the table size, star length, and average girdle thickness of a diamond, before handing a grade to a diamond. It’s a very complicated process, but it’s one that has been well thought out and is meant to be used to ensure that customers get the ideal diamond cut when purchasing jewelry. Frank Pollak & Sons has been in business for more than 100 years now and specializes in offering high-quality vintage and modern jewelry. We also buy diamonds from estate sales, property liquidations and individuals, giving us access to a wide range of stones for customers to choose from. Learn more about selling your diamonds by giving us a call today at 800-342-3878.